Author interview - Website of saraonnebo! This week I was interviewed for Qwerty Throughts. Sara currently lives with her family on the south coast of Sweden, close to where she grew up. She loves reading and feels that she has an overactive imagination. Just like many other book lovers, she had dreamed of writing a novel one day but couldn't get the time to do so. But she thought it's now or never. She started making up stories in her mind to keep it occupied when a lot of things were going on in her life. 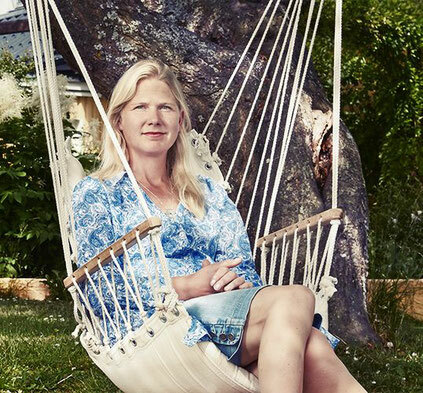 Today, she has published four thrillers in Swedish with a fifth on the way. One of them, "The Daughter", was published in English last year. The second novel, "The Wolf", is currently being translated to English as well. When not working on her books, she creates content for social media, websites, and magazines.